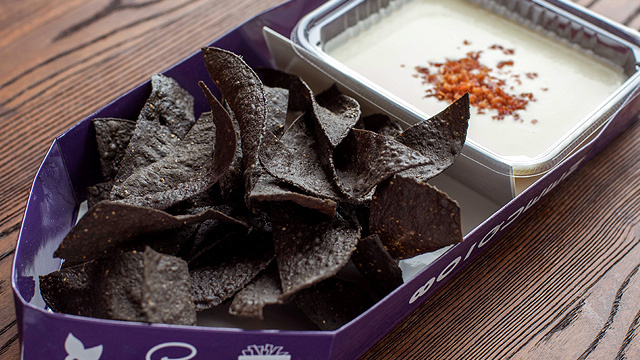 Get charcoal nachos to go with your charcoal fro-yo. 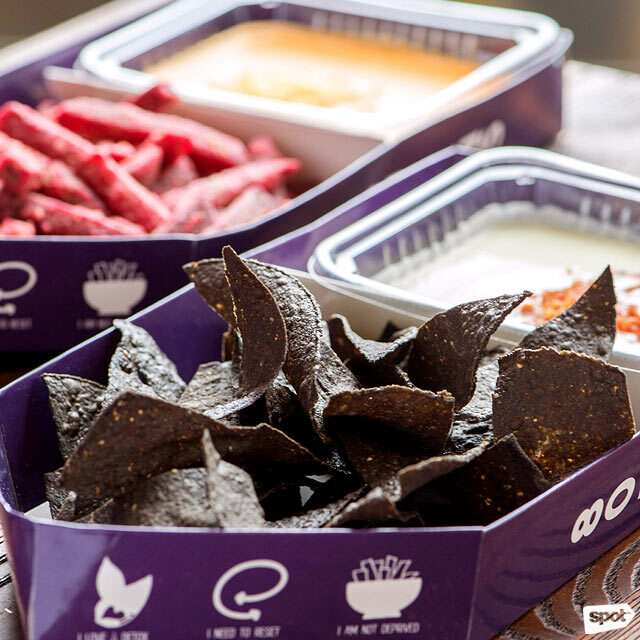 (SPOT.ph) Charcoal nachos? Beet fries? They may seem strange, but don’t write them off too quickly. 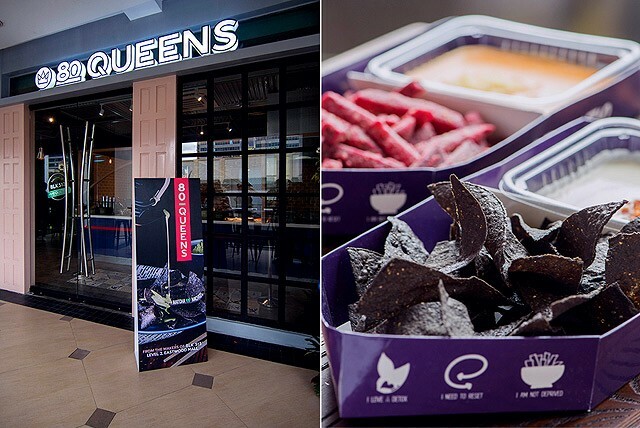 80 Queens is here to shake up the snack game with grub that is good not just for your tummy but also for the rest of your body. 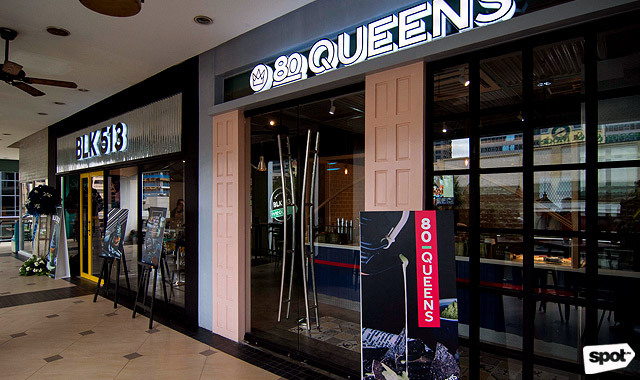 80 Queens is owned by the same team behind BLK 513, who first introduced frozen yogurt infused with activated charcoal to Metro Manila, with the snack bar and frozen yogurt shop now sharing the same space in Eastwood. 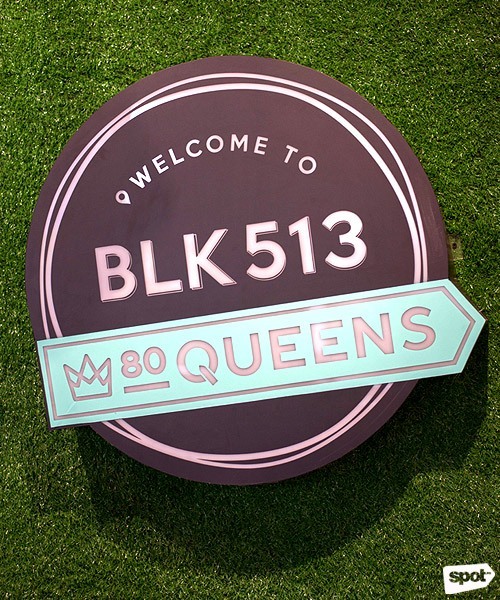 Marketing manager Abi Fernandez shares that this new endeavor was actually a result of BLK 513 regulars asking for snacks to go with their fro-yo. So it's all about reinventing a favorite—in this case, nachos and fries—by boosting them with health benefits from power ingredients like activated charcoal. The snack bar uses fresh ingredients for their chips, sauces, and garnishes, making sure to avoid preservatives. The aim, shares Abi, is to serve food that is “beneficial to the body”—hence the use of activated charcoal and beets, both of which contain detoxifying properties. 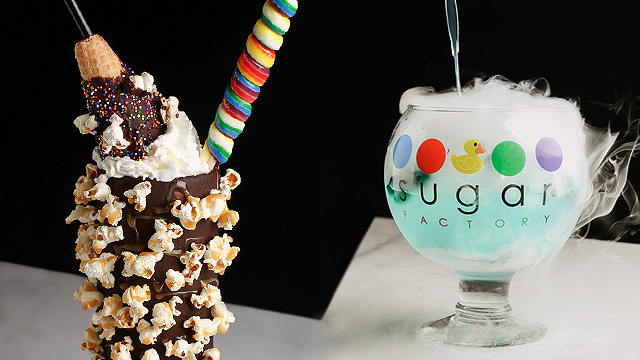 But the flavors are still familiar to everyone who loves to snack—it’s really just like munching on your favorite nachos and fries. 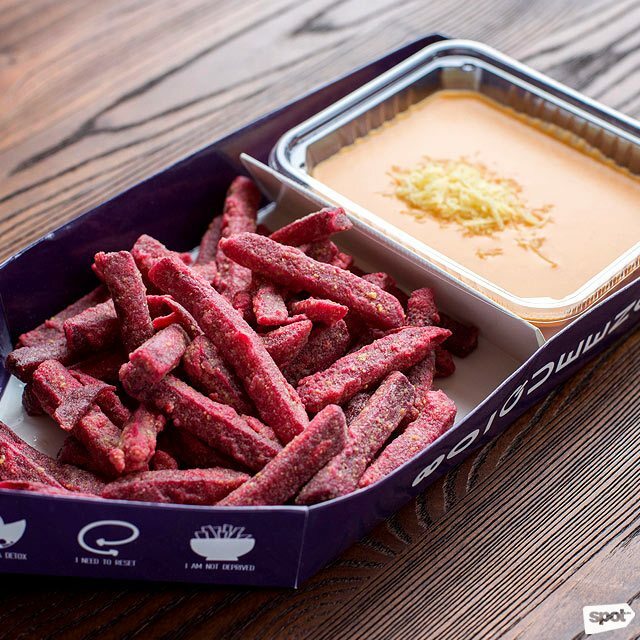 Start by choosing your base: Black Stack (P165), corn chips infused with activated charcoal, or Red Fries (P220), beet root fries crusted with toasted corn. The nachos taste just like your regular corn chips while the fries have the mild sweetness of beets that makes munching on them a new experience. 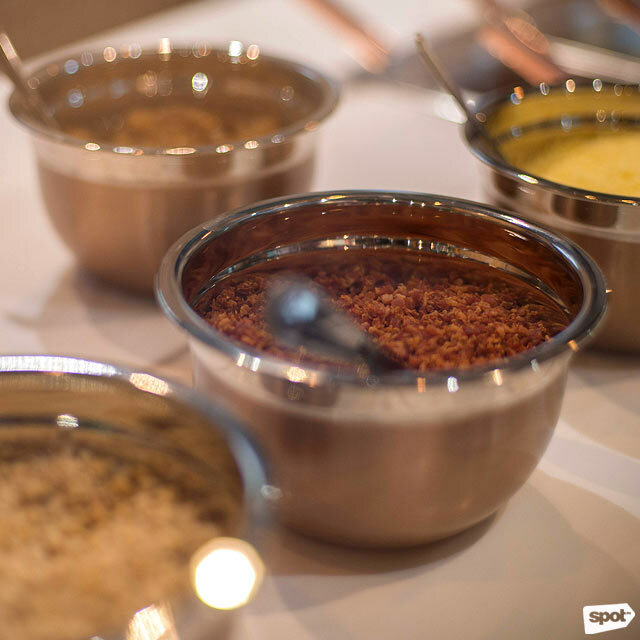 Once you’ve chosen your base, you can now pick what sauce and garnish to go with it. 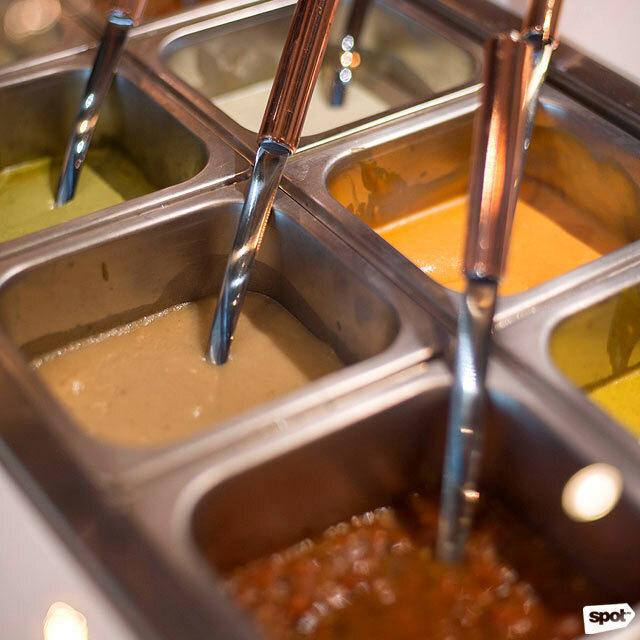 Currently there are ten widely different sauces to choose from, and they cover every kind of taste preference. The Truffle Sorcery will make you think of your favorite truffle pasta, with its blend of cream, Parmesan cheese, and the distinct richness of truffle. This sauce goes really well with the Crispy Bacon garnish. You can also go traditional and have Bean Chili, their version of chili con carne, with your Black Stack—tip: the beans go well with the crispy fries too. Or you can have your fries with the sweet-spicy Sriracha Cheese for chili cheese fries. 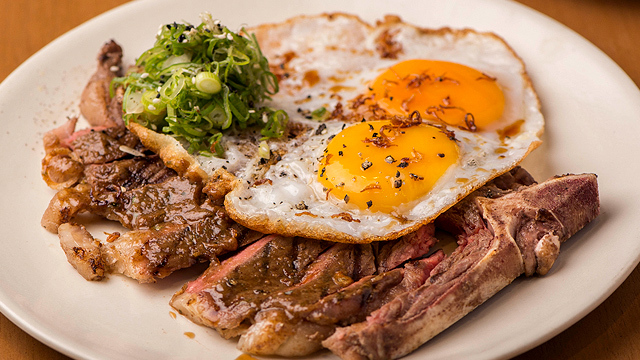 Matcha fans, the Matcha Salt sauce is a novel take on your favorite flavor. 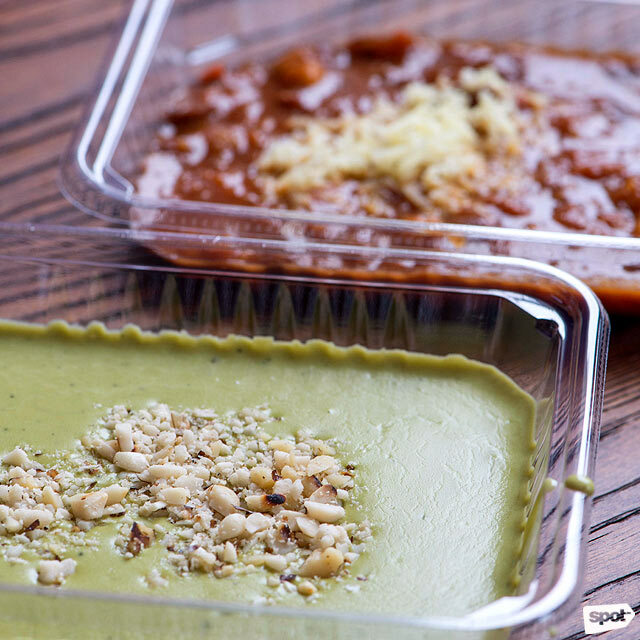 The green sauce has the rich earthiness of green tea, but toned down to complement your snack base. This sauce goes well with the Mixed Nuts for a snack with Asian flavors. Of course, no snack bar is complete without some drinks (P90 to P120) to wash everything down. 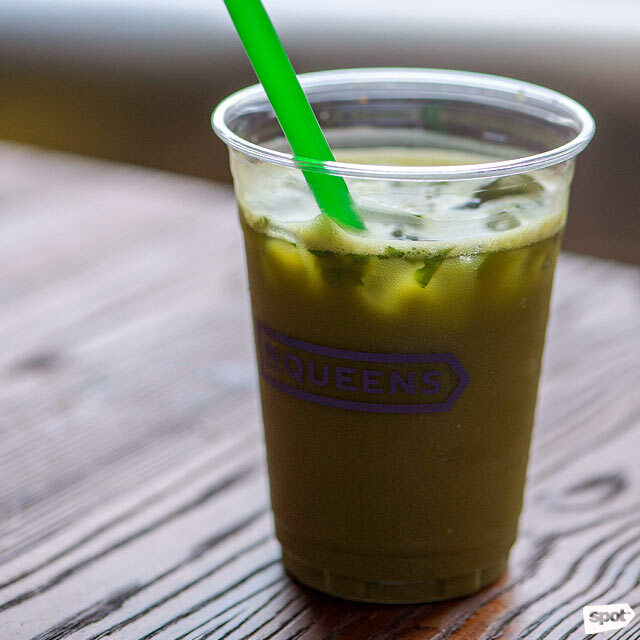 There's the Matcha Summer, its flavors enhanced even more by matcha syrup; the Rooftop Breeze with grapefruit and lime is lip-smacking sour, while the sweetness of the Sunset Tea is boosted by the addition of chopped strawberries on top, giving it a touch of freshness that’s refreshing. 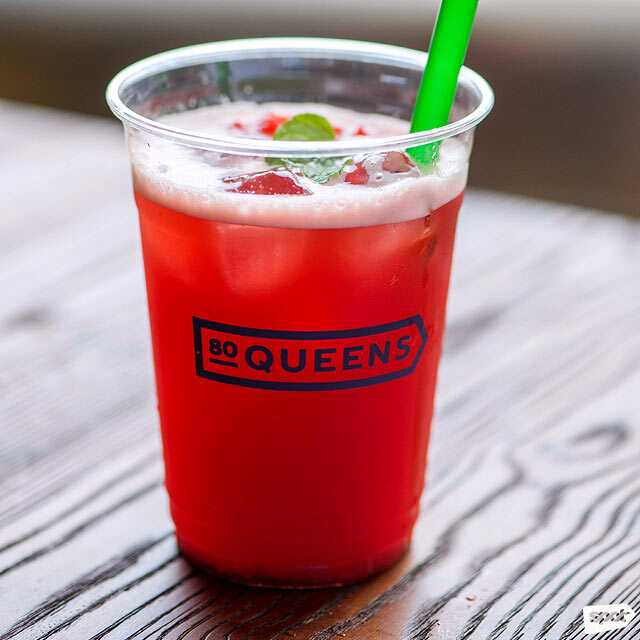 80 Queens, says Abi, aims to encourage people to develop healthy snacking habits. If that involves regularly munching on their nachos covered in that addicting truffle cream sauce, then count us in. 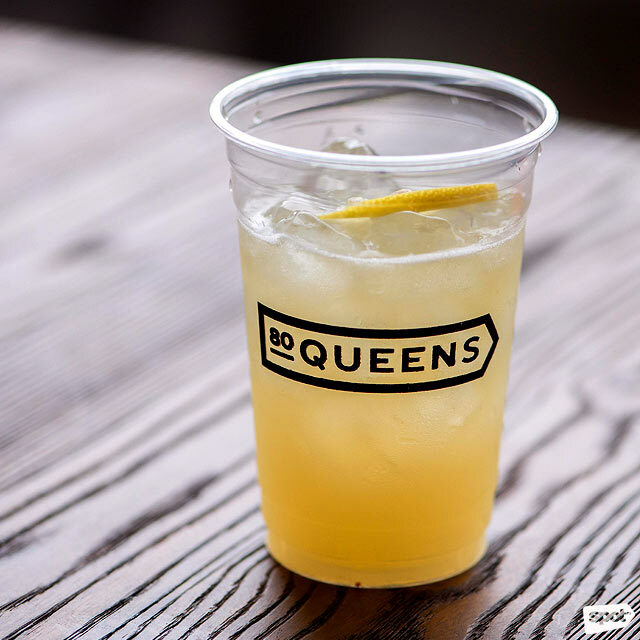 80 Queens opens today, January 26.